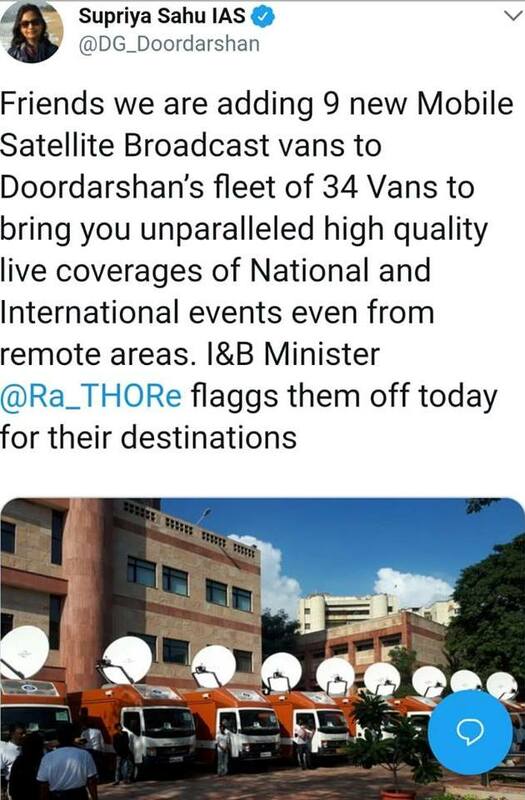 Home » Actor » Actress » Bollywood » India » Movie » News » Picture » Song » Update » Nine new Mobile Satellite Broadcast vans in Doordarshan's fleet. Nine new Mobile Satellite Broadcast vans in Doordarshan's fleet. Source :- Facebook account of Shri. Shaji Basheer & Shri. Rakesh Captain.